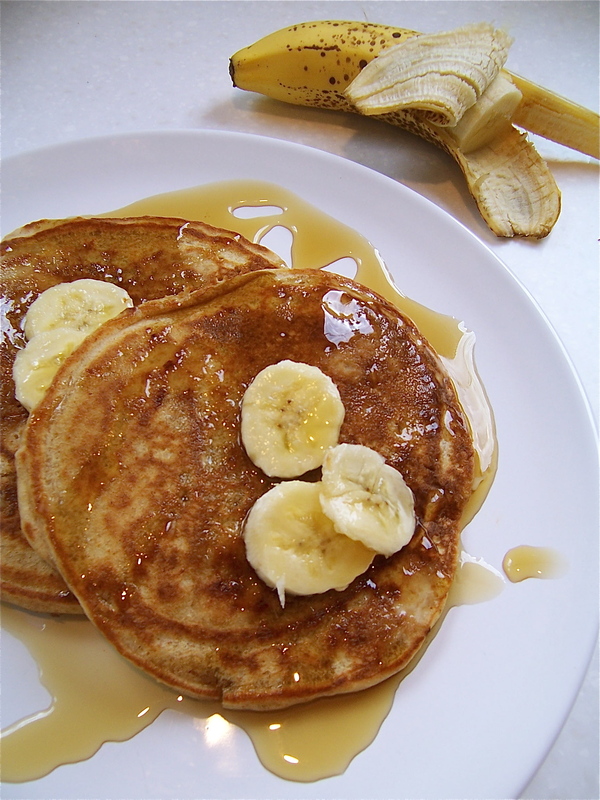 If I use brown rice flour to make this gluten-free, do you see any reasons why these wouldn’t be the best pancakes ever? I want to try them! Melissia- I do think it will change the taste a bit, because the whole wheat flour gives the pancakes a distinct taste. However, I find that whenever I sub an ingredient in a good recipe, that it will still turn out very good! So, I would go for it! For example, I use rice milk and earth balance spread in place of milk, buttermilk, and butter all the time and find recipes still come out delicious! If you try it, let me know how it turns out!